Peru’s cultural heritage is extensive and diverse, including important sites and artifacts from the ancient civilizations of the Moche and Nazca. Although national and international legislation exists in order to protect the country’s heritage, it is largely ineffectual due to the wide scope and the lack of sufficient funding to protect sites and enforce laws (as is often the case). The gravity of the current circumstances was evident in the aftermath of the Greenpeace protest of December 2014, where activists trespassed on the country’s historical Nazca lines during a publicity stunt intended to send a message to the UN climate talks delegates in Lima. Nevertheless, this is not the first time Peru’s heritage has been damaged by avoidable circumstances. The world-renowned sites of Machu Picchu and Chan Chan have faced extensive damage due to their popularity as a tourist attraction. Moreover, “in 2000, an Incan solar clock was damaged during the filming of a commercial, while a quad bike left marks on a candelabra geoglyph in nearby Paracas in 2010.” Likewise, in 2013 it was reported that heavy machinery had defaced a group of the Nazca lines and the Paris-Dakar rally damaged parts outside of the World Heritage area. Such distressing events point to the need for much greater cultural heritage protection and awareness. Vandalism and invasion are not alone in threatening Peru’s archaeological sites. Another great risk is the pervasive looting and illicit digging occurring throughout the country. What is at stake for Peru? Looking across the Peruvian desert, you can imagine it is a moonscape pocked with craters as far as the eye can see, except the holes are looted tombs. Royal tombs that once contained gold, silver, and copper ornaments have been stripped without any care for the cultural information their scientific excavation could reveal. Today you can find authentic Chimu and Nazca pottery being sold on eBay, dug up by rural peasants looking for objects like the ones in the Sotheby’s catalogs. Visitors from around the world flock to sites like Machu Picchu every year to witness firsthand the magnificence of the Incan civilization. Tourism is the third largest industry in Peru, and its cultural sites and museums are major attractions. The looting of archaeological sites and the removal of objects from Peru are negatively impacting tourism. Preserving archaeological ruins and returning artifacts for display in on-site museums is mutually beneficial to the local population and foreign visitors who share an interest in our global heritage. Looters did not return to the place now because there was nothing left….In the last two decades of the twentieth century…more Andean historical heritage was lost than in the previous four centuries…. Looting and illicit antiquities trafficking continues despite protective measures both in Peru and abroad. Thankfully, U.S. import restrictions have resulted in the confiscation and return of many artifacts to Peru, including 18th century religious artifacts stolen from churches and thousand-year-old human skulls torn from their graves. According to the International Council of Museums’ Red List of Peruvian Antiquities at Risk, over 5,000 looted objects were seized between 2004 and 2006 thanks to the MOU. In one of the largest busts of trafficked antiquities, U.S. Customs seized 412 pre-Columbian artifacts—including silver masks, Inca quipus, and effigy vessels—from an Italian art thief and returned them to Peru in 2007. Since 2010, U.S. Customs has intercepted and returned to Peru the above-mentioned pre-Columbian human skulls and 18th century manuscript, Inca pottery, Moche sculpture, and textiles. In 2011, a Moche gold bead in the shape of a monkey head in the Museum of New Mexico’s Palace of the Governors was returned to Peru after it was identified as having been illegally removed from the royal tombs of Sipán. 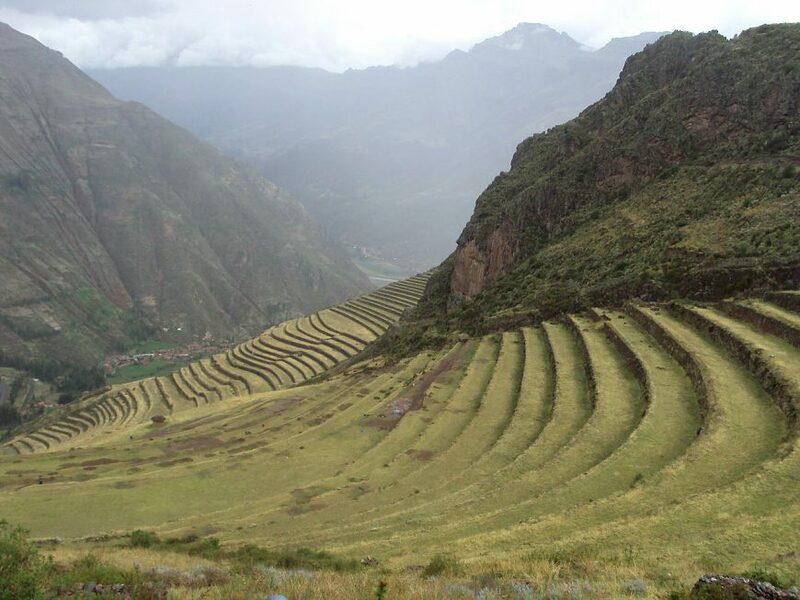 What is Peru doing to protect its cultural heritage? In 1990, extensive digging by tomb raiders prompted the government of Peru to request that the U.S. impose emergency import restrictions on certain Moche artifacts from Peru’s northern coast. In 1997, the U.S. entered in to a bilateral agreement with Peru which placed import restrictions on pre-Columbian archaeological artifacts and Colonial ethnological materials from all areas of Peru and continued the 1990 emergency action import restrictions on archaeological material from the Sipán region. The MOU was renewed in 2002, 2007, and again on June 9, 2012. In June, 2013, the New York Times reported the Ministry of Culture’s program to block antiquities being smuggled out of the country, many of them bound for the U.S.
Incan artifacts that were scientifically excavated from Machu Picchu and temporarily curated in Yale’s Peabody Museum with Peruvian governmental permission are now being repatriated. Facilities to properly store and publicly display these objects within Peru are expanding, and professional training of Peruvian archaeologists and heritage specialists continues to increase. The collection will be returned to the International Center for the Study of Machu Picchu and Inca Culture by the end of 2012, and the people of Peru and tourists who visit Cuzco and Machu Picchu will be able to view them in a new site museum. The U.S. Ambassadors Fund for Cultural Preservation has contributed to several museum conservation and analysis projects in Peru. Security and public access continues to improve in Peruvian museums, as do conservation and climate-controlled displays for fragile textiles and mummies. Peru is committed to sharing its rich past with the world through cultural exchanges with a growing emphasis on exchanges between museums. Peruvian objects have been loaned for the purpose of international exhibition, including 253 rare Incan gold ornaments on loan from Peruvian museums on display at the Pinacothèque de Paris museum in 2010. To commemorate the 20th anniversary of bilateral relations between Peru and South Korea, 351 artifacts from nine museums in Peru were exhibited in 2009 at the National Museum of Korea in Seoul. Cite this page as: SAFE (Saving Antiquities for Everyone), "Cultural heritage at risk: Peru," in Smarthistory, January 11, 2018, accessed April 19, 2019, https://smarthistory.org/cultural-heritage-risk-peru/.